Lúnasa’s inventive arrangements and bass driven grooves have steered Irish acoustic music into surprising new territory. The recordings have been hailed as some of the best and most important world music albums anywhere, while the blend of intelligence, innovation, virtuosity, and passion has brought them to the forefront of Celtic music. 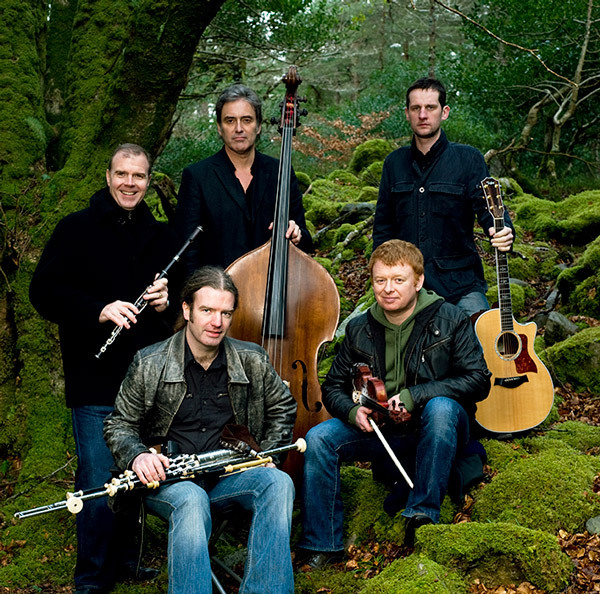 Lúnasa are internationally acknowledged as being the finest Irish instrumental band of recent times. They are renowned for their constant touring, having performed over 1,500 shows across the globe since the band formed in 1997. The band has appeared at internationally renowned venues such as The Hollywood Bowl, National Concert Hall, Dublin and the Sydney Opera House. In 2011 they were invited to appear at the White House.